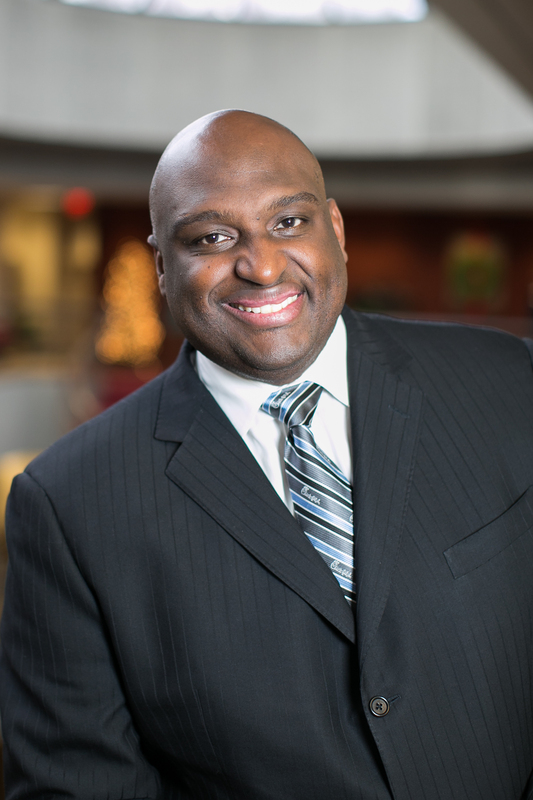 Rodney D. Bullard has spent his prolific career serving others. 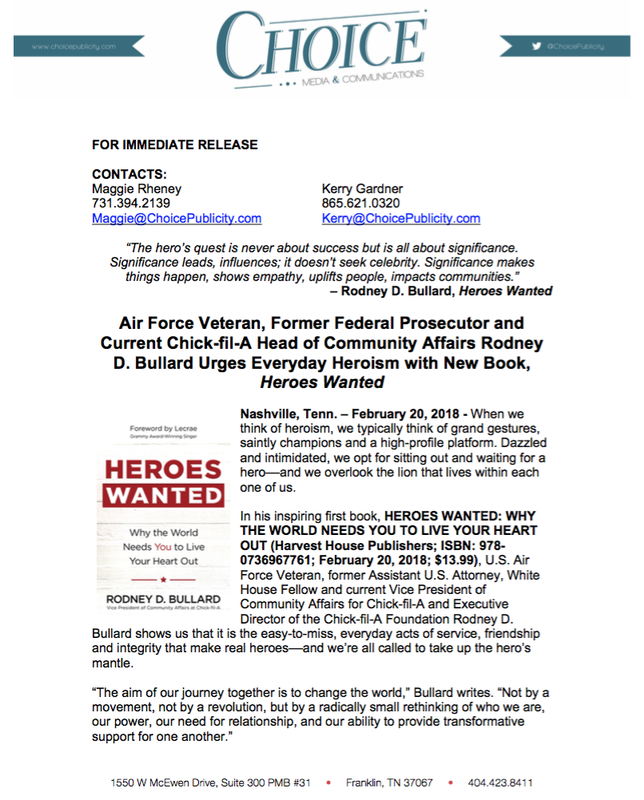 A U.S. Air Force veteran, Rodney currently serves as the vice president of community affairs at Chick-fil-A Inc. and as the executive director of the Chick-fil-A Foundation. 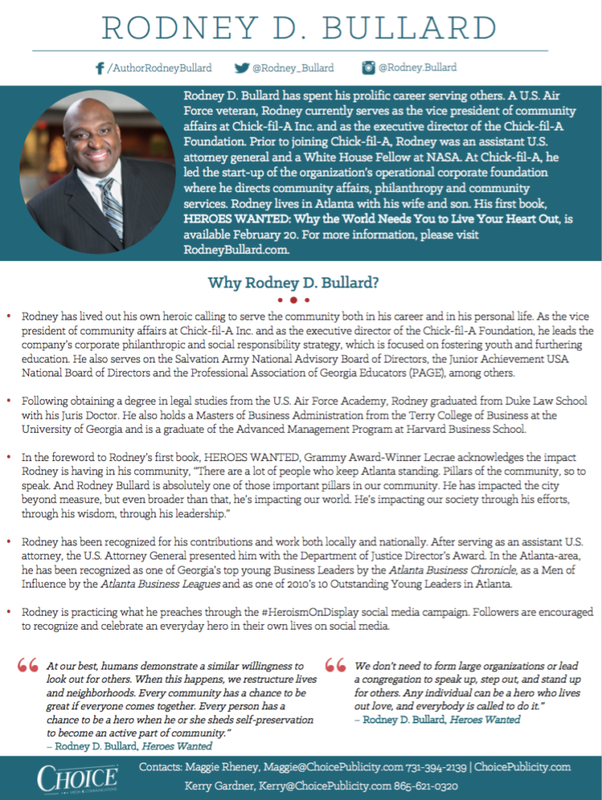 Prior to joining Chick-fil-A, Rodney was an assistant U.S. attorney general and a White House Fellow at NASA. 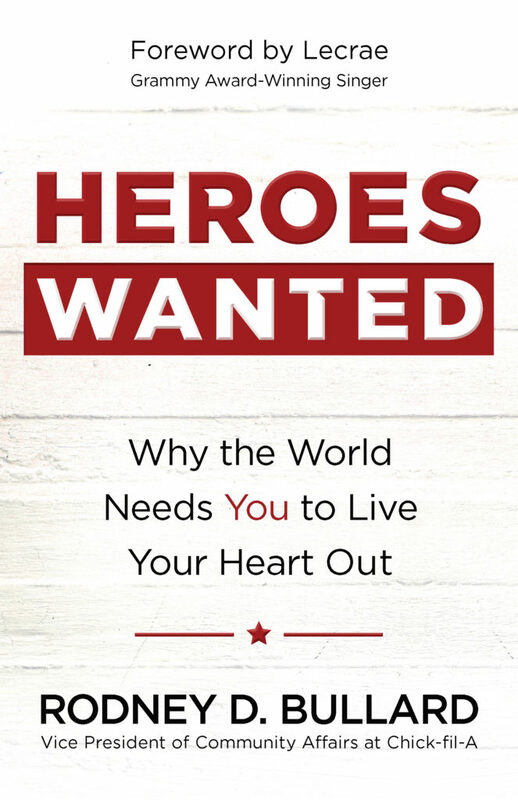 At Chick-fil-A, he led the start-up of the organization’s operational corporate foundation where he directs community affairs, philanthropy and community services. 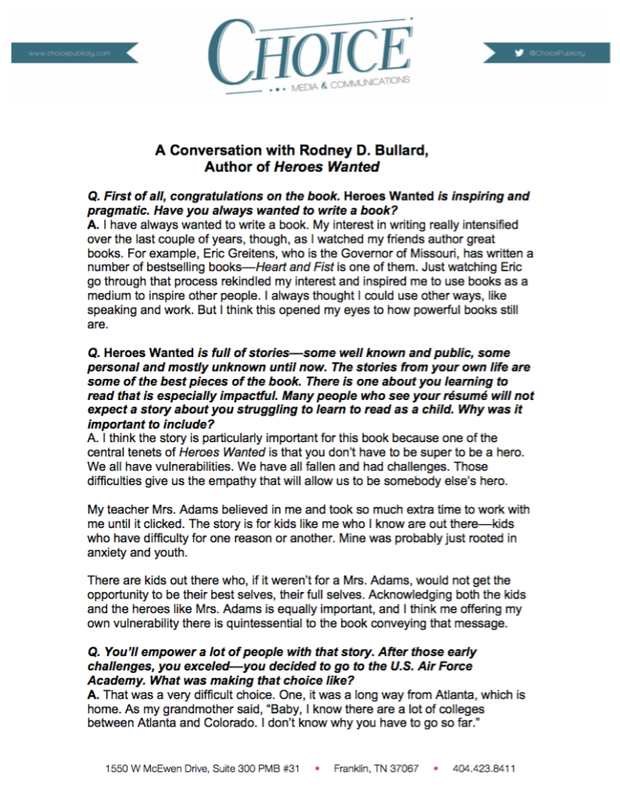 Rodney lives in Atlanta with his wife and son. His first book, “HEROES WANTED: Why the World Needs You to Live Your Heart Out,” is available February 20. For more information, please visit RodneyBullard.com.